The 2016 Lincoln Navigator near Pascagoula, MS remains an imposing presence in the ever-evolving full-size, sport-utility class. Overflowing with classic American style, it serves up power, modern amenities, and style in large doses. For luxury SUV lovers, this is a dashing ride that elevates everything good about SUVs. 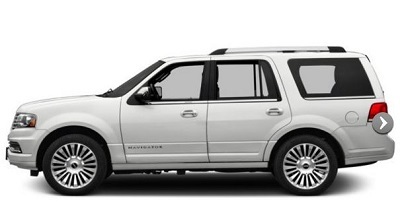 The 2016 Lincoln Navigator is a capable vehicle that suits a wide range of lifestyles from families to power players. The 2016 Lincoln Navigator near Pascagoula, MS drops the swarthy V8, but you won’t miss it when you realize how potent the twin-turbocharged V6 EcoBoost is. With premium fuel, it can deliver a whopping 360 horsepower and 460 pounds of torque. It feels light-footed even when hauling a full load of passengers, cargo, or even a trailer. Because of the independent rear suspension, this model offers an exemplary ride quality. Posted on April 24, 2016, in Business and tagged 2016, dealers, lincoln, navigator, pascagoula. Bookmark the permalink. Leave a comment.